In 2017 solar energy systems and solar panels have been booming in Australia, in particular over here in Western Australia. We are seeing a major uptick in residential homes taking advantage of the cheaper solar technology and our brilliant weather to reduce their energy bills while also adding long term value to their properties. 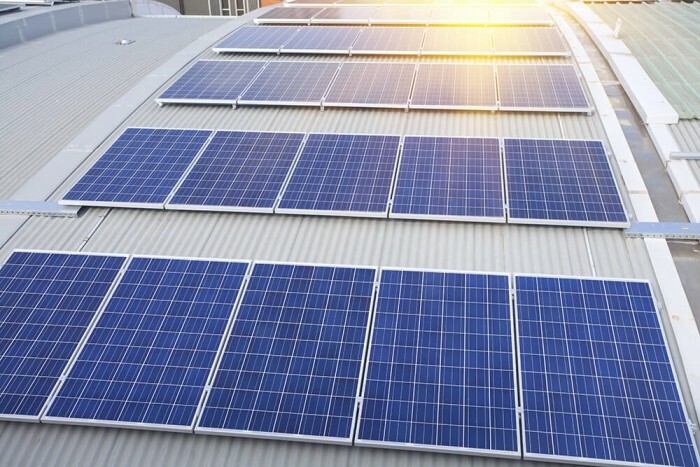 Recently we are also seeing more enquiries come through in relation to commercial solar panels and commercial solar energy systems for office buildings and warehouses. The reasons for this trend are what you might typically expect such as being environmentally friendly and cost savings via energy bills, but also there are actually some solid tax reasons to invest in solar. Below we will look in some more detail why business owners are getting excited about solar energy systems for their commercial business premises and what it means for their taxes. An issue that has made the solar technology not being used for tax breaks as much as it should is the fact that the solar technology is very new (in the tax code anyway) so this means that in taxation laws, solar panels and solar technology is not always specifically addressed. As a result many people are not aware how solar can be leveraged to benefit them from a tax perspective. The Australian Tax Office has a scheme called the Renewable Energy Certificates and on the back of this, it has been made clear that they can be considered for what is coined ‘assessable recoupments’. So this essentially means the savings you make from your solar energy system would need to be treated as income for the year of purchase. Now the purchase of the solar energy system and for example a loan that was used to purchase the solar panels will be able to be treated as a deduction (lowering tax payment). Essentially the savings are treated as income and the system is treated as a deduction for the first year, so you would want to discuss this with you accountant to work out the best way to plan to maximise savings. The GST implications of a solar energy system on your commercial property will depend on what your business does. Typically a business that makes ‘taxable supplies from their commercial premises, such as a warehouse, would be able to gain great tax benefits and associated tax credits for the purchase and installation of the solar panels and solar energy system. For businesses that do not make ‘taxable supplies’ from their business premises, such as residential homes they rent out, would not be able to gain the tax credits and tax benefits associated with solar. So quite a clear line is defined here when it comes to GST, solar and whether you benefit. It is very clear from the Australian Tax Office that a solar energy system is what they consider to be a depreciating asset for your business. In simple terms, this means that the cost of the solar energy system and the installation can be deducted from your tax bill that year. Again we fully recommend discussing this with your accountant to gain a clear picture of how solar can work best for your business. While we know that solar technology can have positive tax implications, it all depends on your specific business and circumstances, so getting a professional’s advice is 100% recommended.